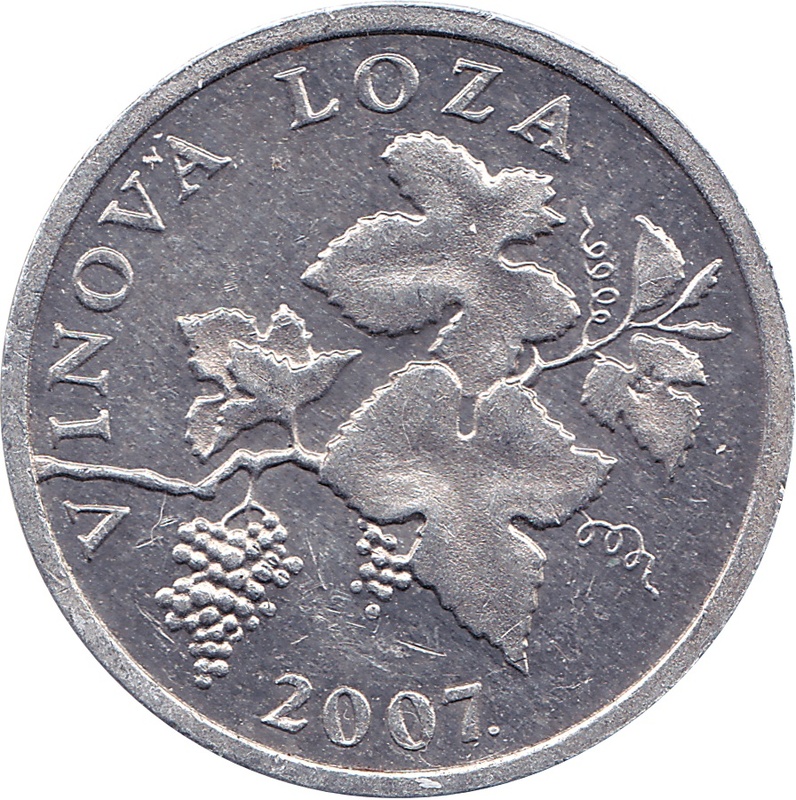 In the central part is shown the stylized grapevine with lush grapes. 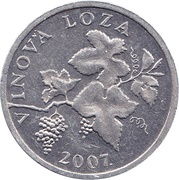 Around the display, along with a circular edge, is printed Croatian name of the plant VINOVA LOZA (grapevine). 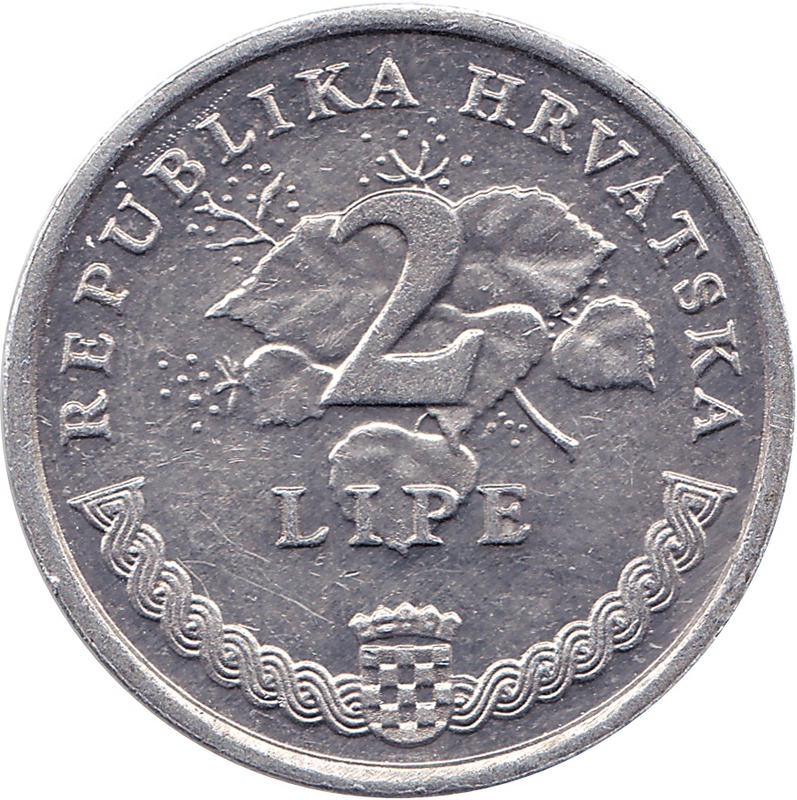 Along the bottom edge, in the middle part, is marked the year of minting. Signature KK. In the central part is shown the stylized branch of linden in inflorescence and on the leaves of branch is printed the value 2. Below the numeric value is the inscription LIPE. 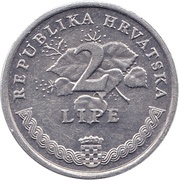 At the edge of the upper semicircle is printed the inscription REPUBLIKA HRVATSKA (The Republic of Croatia). Along the bottom edge, in the central part, is the Croatian coat of arms, on both sides of the coat of arms, is laid the old Christian braided ornamentation. NOTE: This isn't the picture of the edge but You can see here the difference between year with dot and without dot. This coin from 2011, 2013, 2015 and 2017 is non-circulating.